Holla, I had some empties to share with you all.. 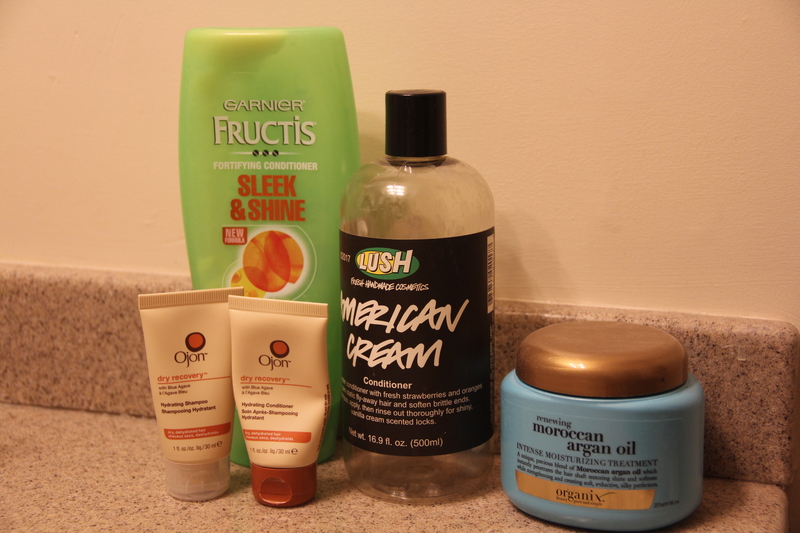 These are all hair products that I have used up..
L to R: Ojon dry recovery hydrating shampoo & conditioner (trial size), Garnier Fructis Fortifying conditioner, Lush American cream conditioner and Organix Moroccan argan oil conditioner.. I have thick coarse hair of Indian origin and hence, I end up trying a lot of conditioners for my dry hair.. 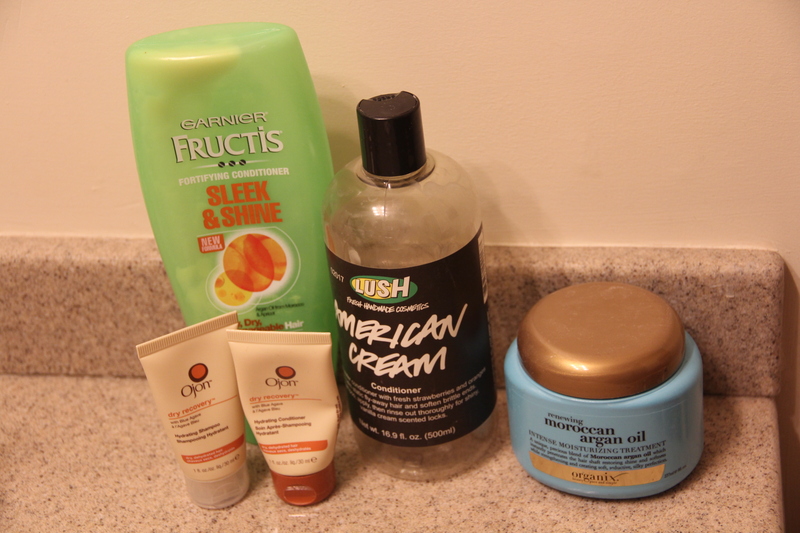 I have been testing the above products for some months now.. Of these, the only products I will consider repurchasing are the Lush and Organix conditioners.. I already have back-up of the American cream conditioner.. 😉 Its a great light-weight conditioner and doesn’t weigh your hair down.. I try and use the Organix conditioner once a week as a deep conditoner..